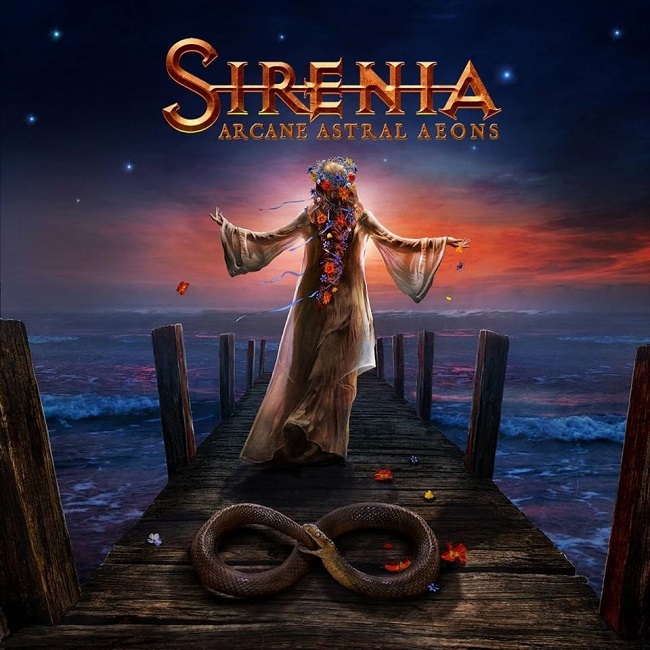 Nordic epic metal masters Sirenia will release their new album entitled “Arcane Astral Aeons”, scheduled for release by the end of October 2018 via Napalm Records. The follow-up to 2016’s “Dim Days Of Dolor” marks the band’s second LP to feature French vocalist Emmanuelle Zoldan, who replaced Spanish singer Ailyn Giménez García two years ago. We are very pleased to present the artwork for our new album, ‘Arcane Astral Aeons’. Once more we have worked with designer Gyula Havancsák to create an artwork that renders and adorns the heart and soul of our music. The album was recorded in Audio Avenue Studios (Norway) and Sound Suite Studios (France), while the mixing and mastering took place in Hansen Studios (Denmark) with mixing engineer Jacob Hansen. This album is something unique to us as it is the first one we have made together with our fans; everyone who have supported our pledge campaign has directly contributed to the funding of the album and to make it what it has turned out to be. We are very proud of what we have achieved together and we’re very eager to share it with you, hoping that you all will find it as special as we do. 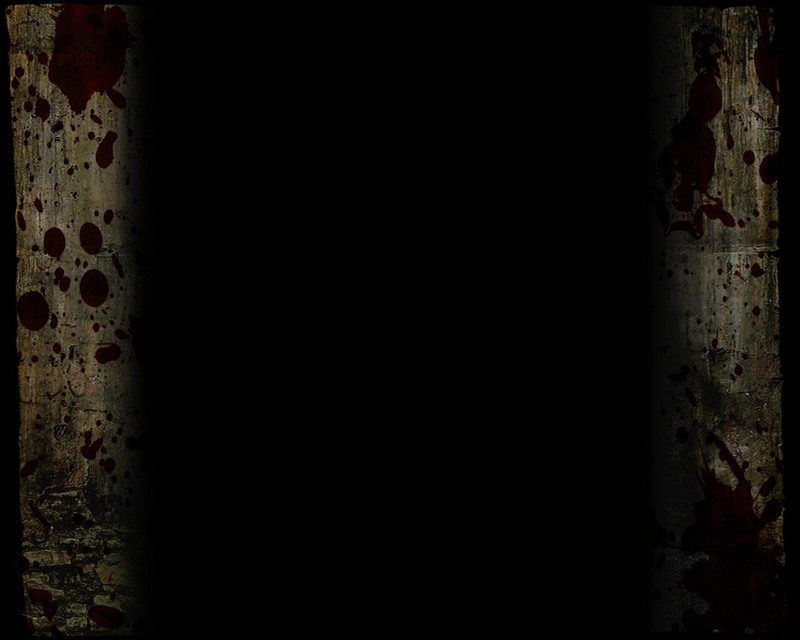 Take a sneak at album cover and tracklisting! Sirenia are going to return to the European stages again. In November, Morten Veland and his bandmates are heading South for an headlining tour. 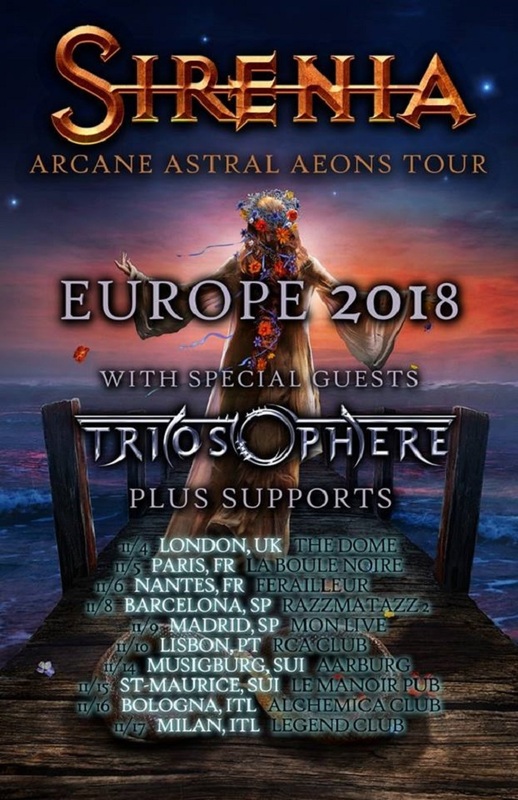 Supported by their fellow Norwegians, Triosphere, Sirenia will bring their epic melancholic symbiosis of orchestral opuses and raw heavy metal sounds to the UK, France, Spain, Portugal, Switzerland and Italy. Be amongst the first to listen to this brand new opus live! Don’t miss the chance to see them on the road!